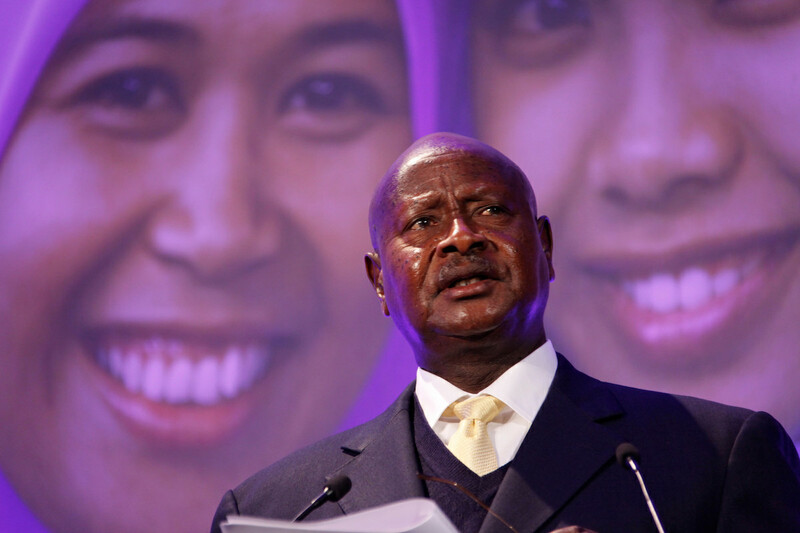 President Yoweri Museveni at a UK government event in 2012. Image credit Russell Watkins via DFID Flickr. 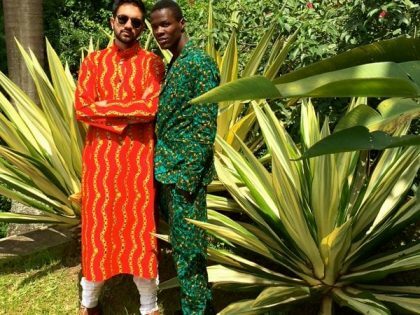 Recent weeks have seen increased global media attention to Uganda following the incidents surrounding the arrest of popular musician and legislator, Bobi Wine; emblematic events that have marked the shrinking democratic space in Uganda and the growing popular struggles for political change in the country. The spotlight is also informed by wider trends across the continent over the past few years—particularly the unanticipated fall of veteran autocrats Muammar Gaddafi in Libya, Hosni Mubarak in Egypt, Yaya Jammeh in Gambia, and most recently Robert Mugabe in Zimbabwe—which led to speculation about whether Yoweri Museveni, in power in Uganda since 1986, might be the next to exit this shrinking club of Africa’s strongmen. Yet the Museveni state, and the immense presidential power that is its defining characteristic, has received far less attention, thus obscuring some of the issues at hand. Comprehending its dynamics requires paying attention to at-least three turning points in the National Resistance Movement’s history, which resulted in a gradual weeding-out of Museveni’s contemporaries and potential opponents from the NRM, then the mobilization of military conflict to shore up regime legitimacy, and the policing of urban spaces to contain the increasingly frequent signals of potential revolution. Together, these dynamics crystallized presidential power in Uganda, run down key state institutions, and set the stage for the recent tensions and likely many more to come. From the late 1990s, there has been a gradual weeding out the old guard in the NRM, which through an informal “succession queue,” had posed an internal challenge to the continuity of Museveni’s rule. It all started amidst the heated debates in the late 1990s over the reform of the then decaying Movement system; debates that pitted a younger club of reformists against an older group. The resultant split led to the exit of many critical voices from the NRM’s ranks, and began to bolster Museveni’s grip on power in a manner that was unprecedented. It also opened the lid on official corruption and the abuse of public offices. 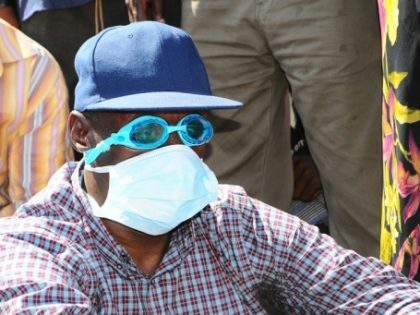 Over the years, the purge also got rid of many political and military elites—the so-called “historicals”—many of whom shared Museveni’s sense of entitlement to political office rooted in their contribution to the 1980-1985 liberation war, and some of whom probably had an eye on his seat. By 2005 the purge was at its peak; that year the constitutional amendment that removed presidential term limits—passed after a bribe to every legislator—saw almost all insiders that were opposed to it, summarily dismissed. As many of them joined the ranks of the opposition, Museveni’s inner circle was left with mainly sycophants whose loyalty was more hinged on patronage than anything else. Questioning the president or harboring presidential ambitions within the NRM had become tantamount to a crime. By 2011 the process was almost complete, with the dismissal of Vice President Gilbert Bukenya, whose growing popularity among rural farmers was interpreted as a nascent presidential bid, resulting in his firing. One man remained standing, Museveni’s long-time friend Amama Mbabazi. His friendship with Museveni had long fueled rumors that he would succeed “the big man” at some point. In 2015, however, his attempt to run against Museveni in the ruling party primaries also earned him an expulsion from both the secretary general position of the ruling party as well as the prime ministerial office. The departure of Mbabazi marked the end of any pretensions to a succession plan within the NRM. He was unpopular, with a record tainted by corruption scandals and complicity in Museveni’s authoritarianism, but his status as a “president-in-waiting” had given the NRM at least the semblance of an institution that could survive beyond Museveni’s tenure, which his firing effectively ended. What is left now is perhaps only the “Muhoozi project,” a supposed plan by Museveni to have his son Muhoozi Kainerugaba succeed him. Lately it has been given credence by the son’s rapid rise to commanding positions in elite sections of the Ugandan military. But with an increasingly insecure Museveni heavily reliant on familial relationships and patronage networks, even the Muhoozi project appears very unlikely. What is clear, though, is that the over time, the presidency has essentially become Museveni’s property. Fundamental to Museveni’s personalization of power also has been the role of military conflict, both local and regional. First was the rebellion by Joseph Kony’s Lord’s Resistance Army in northern Uganda, which over its two-decade span enabled a continuation of the military ethos of the NRM. The war’s dynamics were indeed complex, and rooted in a longer history that predated even the NRM government, but undoubtedly it provided a ready excuse for the various shades of authoritarianism that came to define Museveni’s rule. With war ongoing in the north, any challenge to Museveni’s rule was easily constructed as a threat to the peace already secured in the rest of the country, providing an absurd logic for clamping down on political opposition. More importantly, the emergency state born of it, frequently provided a justification for the president to side-step democratic institutions and processes, while at the same time rationalizing the government’s disproportionate expenditure on the military. 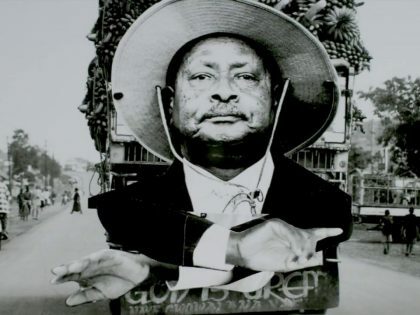 It also fed into Museveni’s self-perception as a “freedom fighter,” buttressed the personality cult around him, and empowered him to further undermine any checks on his power. By the late 2000s the LRA war was coming to an end—but another war had taken over its function just in time. From the early 2000s, Uganda’s participation in a regional security project in the context of the War on Terror, particularly in the Somalian conflict, rehabilitated the regime’s international image and provided cover for the narrowing political space at home, as well as facilitating a further entrenchment of Museveni’s rule. As post-9/11 Western foreign policy began to prioritize stability over political reform, Museveni increasingly postured as the regional peacemaker, endearing himself to donors while further sweeping the calls for democratic change at home under the carpet—and earning big from it. It is easy to overlook the impact of these military engagements, but the point is that together they accentuated the role of the military in Ugandan politics and further entrenched Museveni’s power to degrees that perhaps even the NRM’s own roots in a guerrilla movement could never have reached. The expulsion of powerful elites from the ruling circles and the politicization of military conflict had just started to cement Musevenism, when a new threat emerged on the horizon. It involved not the usual antagonists—gun-toting rebels or ruling party elites—but ordinary protesters. And they were challenging the NRM on an unfamiliar battleground—not in the jungles, but on the streets: the 2011 “Walk-to-Work” protests, rejecting the rising fuel and food prices, were unprecedented. But there is another reason the protests constituted a new threat. For long the NRM had mastered the art of winning elections. The majority constituencies were rural, and allegedly strongholds of the regime. The electoral commission itself was largely answerable to Museveni. With rural constituencies in one hand and the electoral body in the other, the NRM could safely ignore the minority opposition-dominated urban constituencies. Electoral defeat thus never constituted a threat to the NRM, at least at parliamentary and presidential levels. But now the protesters had turned the tables, and were challenging the regime immediately after one of its landslide victories. The streets could not be rigged. In a moment, they had shifted the locus of Ugandan politics from the rural to the urban, and from institutional to informal spaces. And they were picking lessons from a strange source: North Africa. There, where Museveni’s old friend Gaddafi, among others, was facing a sudden exit under pressure from similar struggles. Things could quickly get out of hand. A strategic response was urgent. The regime went into overdrive. 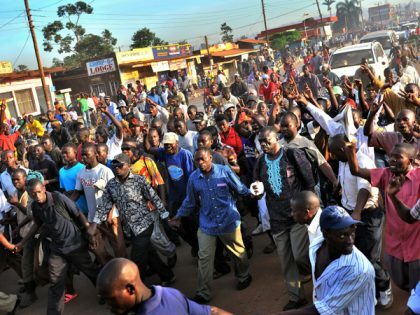 The 2011 protests were snuffed out, and from then, the policing of urban spaces became central to the logic and working of the Museveni state. Draconian laws on public assembly and free speech came into effect, enacted by a rubber-stamp parliament that was already firmly in Museveni’s hands. 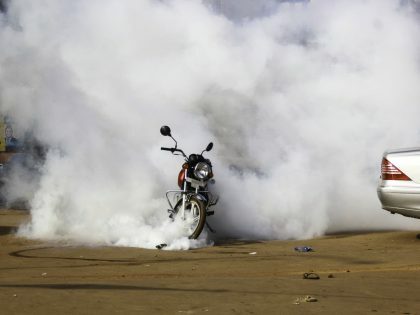 Police partnered with criminal gangs, notably the Boda Boda 2010, to curb what was called “public disorder”—really the official name for peaceful protest. As police’s mandate expanded to include the pursuit of regime critics, its budget ballooned, and its chief, General Kale Kayihura, became the most powerful person after Museveni—before his recent dismissal. For a while, the regime seemed triumphant. Organizing and protest became virtually impossible, as urban areas came under 24/7 surveillance. Moreover, key state institutions—the parliament, electoral commission, judiciary, military and now the police—were all in the service of the NRM, and all voices of dissent had been effectively silenced. In time, the constitution would be amended again, by the NRM-dominated house, this time to remove the presidential age limit—the last obstacle to Museveni’s life presidency—followed by a new tax on social media, to curb “gossip.” Museveni was now truly invincible. Or so it seemed. But the dreams of “walk-to-work”—the nightmare for the Museveni state—had never really disappeared, and behind the tightly-patrolled streets always lay the simmering quest for change. That is how we arrived at the present moment, with a popstar representing the widespread aspiration for better government, and a seemingly all-powerful president suddenly struggling for legitimacy. Whatever direction the current popular struggles ultimately take, what is certain is that they are learning well from history, and are a harbinger of many more to come. 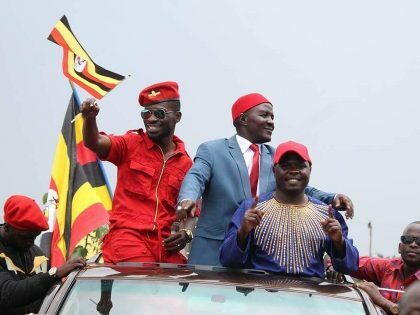 Bobi Wine, building off political protest of the last decade has become a symbol for a new politics in Uganda and a threat to Museveni’s hold on power. History will reward those thinkers whose ideals and actions remained aligned with the people. There might be only little room for political dissent in Uganda, but there is no limit to the creativity of the country’s youth as they continually engage the three-decade-old grip on power of Yoweri Museveni and his National Resistance Movement (NRM). Can African Heads of State Speak?